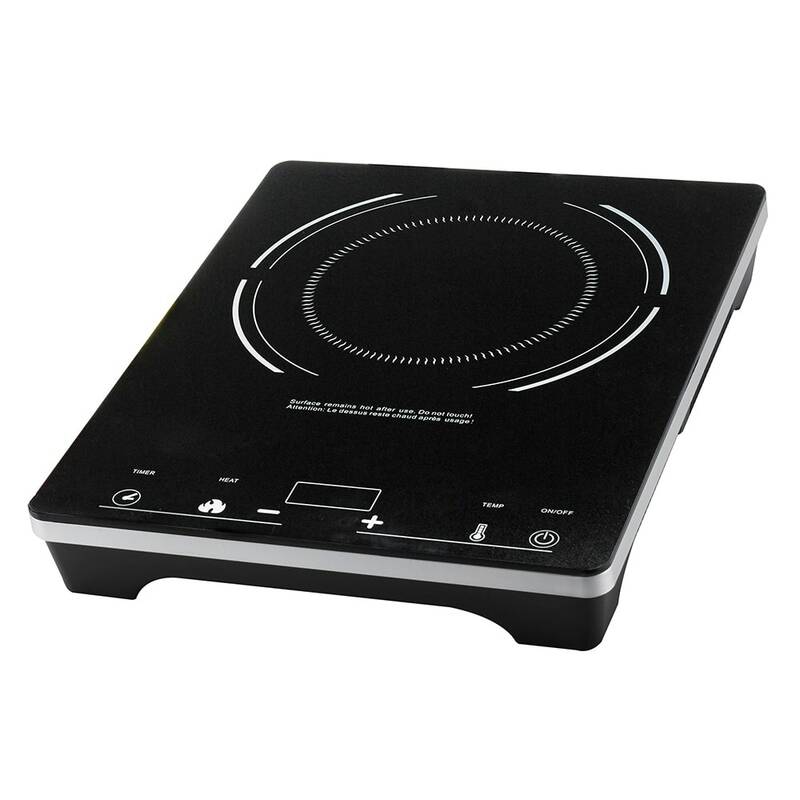 The Eurodib C1823 countertop induction cooktop uses electricity flowing through a copper coil to create a magnetic field above its cooking surface. When an induction-ready pot or pan comes in contact with the cooktop, electrons in the metal move around rapidly, generating friction that creates heat. Adjustable in 30-degree Fahrenheit increments, the temperature can be set between 150 and 450 degrees Fahrenheit. Its timer has a maximum of 150 minutes, and it enters standby mode once time is reached. The frame is made of hard plastic that resists corrosion, and the stainless steel base withstands heavy use. Enters standby mode after the timer reaches 150 min. Required cookware size: 4.7-8.6 in. dia. You can read more about induction and its benefits in this explainer on induction cooking.